Celebrate the music of Stephen Schwartz, from Broadway's wunderkind to a bona fide musical legend! This 23-minute medley will take you and your audience into his creative world with spectacular award-winning songs from such shows as Godspell, Wicked, Children of Eden, Pocahontas, The Prince of Egypt, The Hunchback of Notre Dame, Working, and more, including All Good Gifts, Colors of the Wind, Day by Day, Defying Gravity, For Good, God Help the Outcasts, It's an Art, Just Around the Riverbend, Meadowlark, Popular, The Spark of Creation, Topsy Turvy, We Beseech Thee, When You Believe. 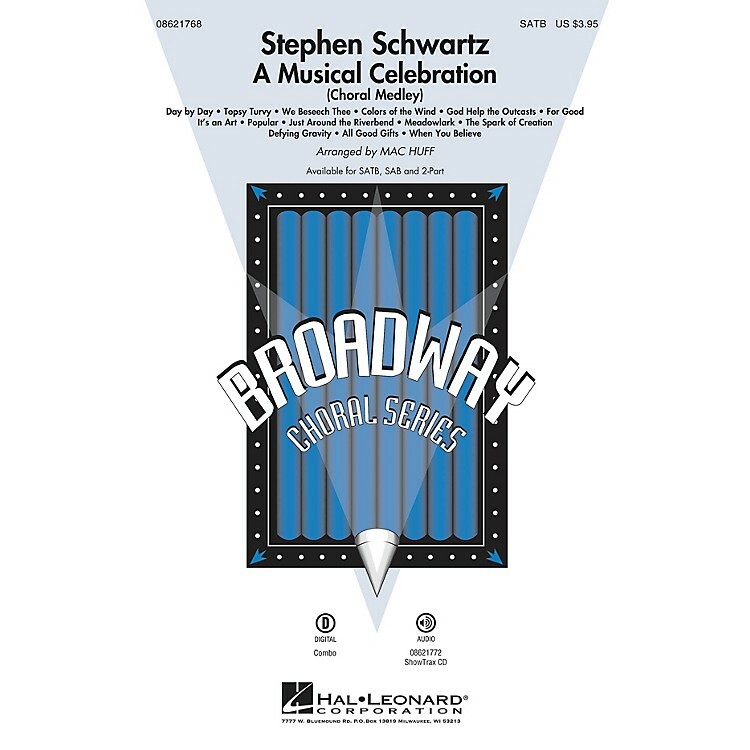 Available separately: SATB, SAB, 2-Part, ShowTrax CD. Combo parts available as a digital download (fl, cl, tpt 1-2, tsx, tbn, vc, syn, gtr, b, dm). Total duration: ca. 23:30.